Use the Counseling Degrees by State page to find CACREP and other accredited counseling programs in your state. Remember, there are a number of different colleges and universities that offer counseling programs online, especially at the graduate level (Master's in Counseling in particular). There are more than 1,500 universities in the United States with a Counseling degree. 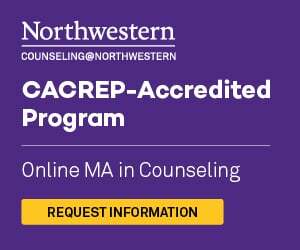 Many are located on-campus graduate programs, but you might also considering reviewing Online Master of Counseling Programs or the Online CACREP accredited programs guide. You can use the links below to filter to your state of interest. On each "state" page, you will find a summary of the counseling situation in the state, what curriculum you can expect for a degree level, and what counseling licensure looks like in that state. Of course you will also find an easy-to-read list of universities offering counseling programs, segmented by Degree level. So, if you are looking for a Bachelor's degree in a state, you can go to that page and quickly see all of the different programs available.